May 31 (Bloomberg) -- Coca-Cola Co., the world’s largest soft-drink maker, plans to set-up a bottling plant in the breakaway republic of Somaliland, saying its stability and economic growth provide “conducive” conditions for investment. Somaliland Beverage Industries, owned by local businessman Ahmed Osman Guelleh, was awarded a license to operate the factory that’s under construction and expected to start operating by the end of September, Ndema Rukandema, Coca-Cola’s franchise general manager for the Horn, Islands and Middle Africa, said yesterday. Coca-Cola has so far invested $10 million to build the facility in Hargeisa, the capital. It is customary for Siyad Barre loyalists to panic whenever they see or even perceive Somalilanders taking care of business, or any good news coming from their direction. This person who wrote an article with the above title on Wardheer.com, a vehemently anti-Somaliland website where Siyad Barre loyalist congregate to snip and throw a kitchen sink against Somaliland. This is one of the major websites where all types of Somaliland haters come together and spew their hate venom. There is nothing new in the article, it is just a duplicate of the anti-Somaliland literature espoused for the last 20 years. Hees Wadani ah: Ha Samaato Wada dhaha! Heestan waxa sameeyay, Abwaanka da' da yar ee C/risaaq Aadan Cumar . Is Somaliland Government Flirting with Somalia politics? Barely a week has passed when Somaliland celebrated the 20th Anniversary of reclaiming their freedom from Somalia. Street dancing, military parade, student marching and community showing dominated every major city center in Somaliland. A patriotic emotional outburst, genuine sentiment to display how much the country means to them was revealed, and easily felt every corner. Last week the world has witnessed peaceful and simultaneous rallies organised in almost every major cities and towns in Somaliland as well as Capital cities around the world notably London, Norway, Stockholm, Oslo, Toronto, Washington and others to mark the 20th anniversary of regaining Somaliland independence declared on 18th May 1991 in Burao. 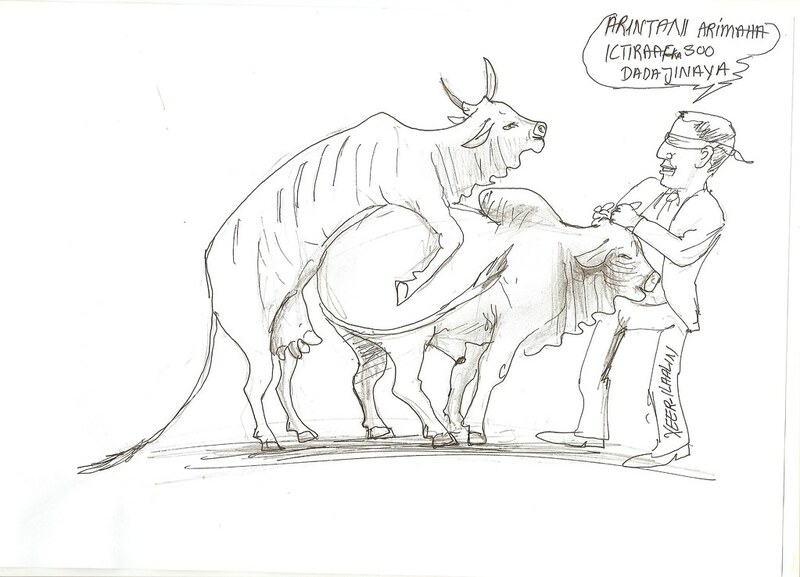 Pulling Somaliland Out Of Poverty Can Be As Easy As 1, 2, 3! Now that our once noble cause of Greater Somalia had died forever as Djibouti went its way, NFD is out for good, Houd and Reserved area are permanently part of Ethiopia and Italian Somalia has decided to permanently place its sovereignty in coffins, it is time to pay attention to Somaliland as it is a unique entity that is doing relatively fine despite huge security threats, economic hardships, and environmental and social problems. Bal adba! Sawir gacmeed dacaayad ah oo lagu durayo Xukuumada Siilaanyo iyo tubta ay Ictiraaf raadinta u martay! Waxa sawiray, Cabdi Rashiid Muxumad Qalinleh. HARGEISA, Somaliland — The leader of Somaliland has called on the international community to give the breakaway state the recognition it "deserves" as it marks 20 years since a unilateral declaration of independence. "It's high time the international community gave consideration to the efforts of the people of Somaliland, and gives the recognition that the people of Somaliland need and deserve," Ahmed Mohamed Silanyo, the self-styled president of Somaliland, told AFP in an interview. NAIROBI: Somaliland delegation today met with United Nations Security Council in regards to security situation concerns in Somalia. The delegation from the United Nations is led by the French ambassador in the Security Council Gerard Araud and US Permanent Representative to the United Nations Susan Rice. Somaliland delegation is lead by foreign minister Mohamed Abullahi Omar and consists of defence minister Ahmed Haji Adami, water and minerals minster Hussein Duale, labour minister Ilhan Mohamed Jama and the chairman of the lower house of parliament. Unknown to many people in the world is a yet-to-be-recognized state with three and half million population in the Horn of Africa. It is a phenomenal country that has emerged out from the ashes of the collapsed Somalia. Up till now it stayed stable for over two decades without any external support. It is a country that has set brilliant records in terms of government institution building and peace maintenance which was based on a unique blend of traditional conflict-resolving approach and modern democracy. This happens to be Somaliland - Africa’s bonfire of peace and democracy. NAIROBI: Most Somalis, especially in the capital, Mogadishu, have always lived amid war and joblessness. More than half the country's population was born after the 1991 ouster of Mohammed Siad Barre that sparked the country's slide into anarchy. "This is a group of people who have never known anything other than conflict and violence," Ahmed Dini, a civil-society activist involved with children and young people's welfare, told IRIN on 24 May. Heestan cusub ee magaceeda la yidhaa ''Gabilayeey ma nabad-baa'' waxa midhaheeda sameeyay abwaanka da' da yar leh ee magaciisa la yidhaa, Cabdi-risaaq Aadan Cumar. Waa hees sumadii iyo sawracii qodaalnimo u idil yihiin, oo badhax la'. Somaliland, a breakaway republic in northern Somalia, revoked Total Mer Rouge SA’s license to manage an oil-storage facility at the port of Berbera after it failed to import fuel into the country for the past two years. The government of the semi-autonomous region will take over management of the facility with immediate effect, President Ahmed Mohamud said in a decree yesterday in the capital, Hargeisa. The Kenyan government has expressed support for the recognition of Somaliland, which is an autonomous region of Somalia. Kenyan Assistant Minister for Foreign Affairs Richard Onyonka said that Nairobi supports the recognition of Somaliland as an independent state and Kenya will encourage the countries of the African Union to officially recognize Somaliland, a Press TV correspondent in Nairobi reported late on Friday. Today, Somaliland is celebrating the 20th anniversary of its declaration of independence. On May 18, 1991, Somaliland terminated its union with Somalia after a decade of struggle against oppression, exploitation and destruction by the Siad Barre regime. We found the country in a shambles, devastated not by a foreign enemy, but by the Somali army. Hargeisa, Somaliland’s capital, had been reduced to rubble, with most of its population living in refugee camps in Ethiopia. May 21, 2011 - Marking 20th anniversary, Somaliland is pursuing a new and persistent foreign policy to get itself global recognition, according to the Ethiopian Reporter. The government has asked the Ethiopian government to take the lead by recognizing the state. During the completion of a colorful celebration of Somaliland’s secession from the mainland Somalia on May 18 twenty years ago, top government officials told reporters that the government is following an assertive foreign policy to urge the world to recognize the country officially. Somaliland commemorated the 20th anniversary of its founding on Wednesday — a major milestone in itself considering the unfortunate plight of central-south Somalia which plunged deep into a seemingly bottomless quagmire. BBC-Somali iyo Barnaamijka falanqaynta ee maanta oo ku saabsan, gabi-ahaanba 20-jirsiga Somaliland. * Dhegta maal *. Barnaamij gaar u ah xuska 20-jirsiga Somaliland oo ay laanta afka Somaliga ee BBC-Somali-du ku falanqaynayso guud ahaanba Sooyaalka iyo aayaha Somaliland. Waxa eegaya dad aad ugu dha-dhaw xogta Somaliland. HARGEISA - The self-declared republic of Somaliland has made key improvements in sectors such as health, education and infrastructure in the past two decades, its leaders say, despite its lack of international recognition. 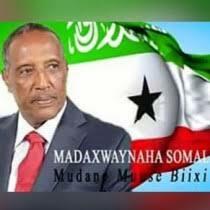 "One of the main obstacles for Somaliland is lack of recognition, but my government will never give up trying to gain it," President Ahmed Mohamed Mohamoud Siilanyo said on 18 May, when the region marked 20 years since declaring unilateral independence from the rest of Somalia. May 19, 2011 By Andrew George MP has sign EDM number 1815. Xigasho, Somalivoa. Waxa soo diyaarisay, Sahra Ciidle Nuur. The quiet, dusty, unpaved streets of Somaliland’s capital, Hargeisa, came alive as thousands of people crowded the major thoroughfares, all sporting commemorative T-shirts or hijabs in the national colours of red, white and green. A well-organised, if occasionally ramshackle, parade of students, sports stars and professionals forced their way through the crowd, with the help of the hundreds of soldiers lining the route. BBC-Somalidu sidee ayaa ay Xuska 20-guurada Somaliland uga soo warantay?, * Dhegta maal *. Sidee ayaa ay Xuska 20-guurada Somaliland uga soo warantay?. THE UK Government was yesterday urged to recognise Somaliland, as Welsh campaigners descended on Westminster to celebrate the 20th anniversary of its separation from Somalia. Plaid Cymru MP Hywel Williams MP said: “Somalis have long been part of the fabric of Welsh society, and, of course, Cardiff is particularly famous for its Somali community. Somaliland is celebrating its 20th anniversary of self-declared independence from Somalia. Despite not being recognized as a nation by the international community, Somaliland has been very successful politically and economically. And it’s avoided the turmoil of Somalia. Maanta oo ay taariikhdu tahay 18 ka May waxaynu u dabaaldagaynaa sannad-guuradii 20 aad ee dib ula soo noqoshada madaxbannaanideena. Maalintani waa maalin ku weyn Qarankan Somaliland. Mudanayaal iyo Marwooyin, munaasibada maalintan qaaliga ah waxaan hambalyo iyo bogaadin u dirayaa dhammaan shacbiweynaha reer Somaliland dibad iyo gudo meel kasta oo ay joogaan, waxaan hambalyo iyo bogaadin gaar ah u dirayaa ciidamadda kala duwan ee Qaranka, kuwaas oo ka mid ah astaamaha iyo tiirarka uu Qarankani ku taagan yahay. A breakaway, semi-desert territory on the coast of the Gulf of Aden, Somaliland declared independence after the overthrow of Somali military dictator Siad Barre in 1991. The move followed a secessionist struggle during which Siad Barre's forces pursued rebel guerrillas in the territory. Tens of thousands of people were killed and towns were flattened. Qaybtii 1-aad. Barnaamij taxane ah oo xiiso leh oo ku saabsan Sooyaalkii SNM. Heshiiskii iyo is-calool xaadhashadii shacabka reer Somaliland. Lasoo noqooshadii Somaliland. Sugidii nabad galyada Somaliland. Qabanqaabadii dawlad dhiska, samayntii xisbiyo qaran oo siyaasadeed. Doorashooyinka iyo qabashadooda. Ictiraafa Iwm. more obstinate … more lucid or dangerous, than a poet....”Gabriel Garcia Marquez, Love in the Time of Cholera.
'' What the heart desire the mind inspires ''. 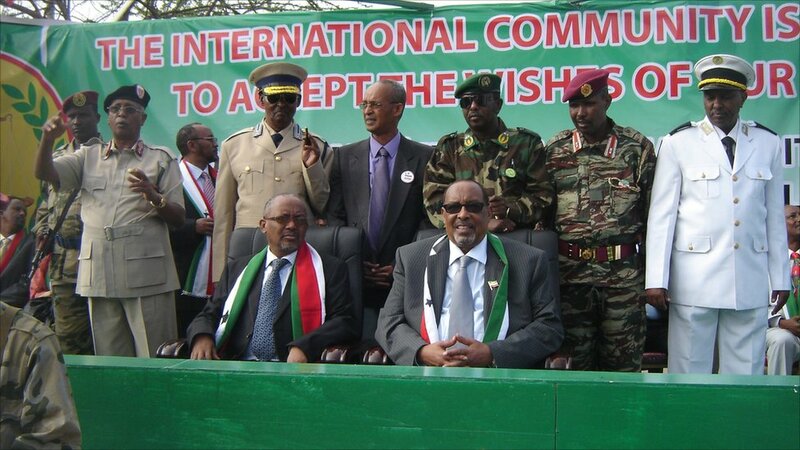 The independence of Somaliland is not in jeopardy nor has it ever been in danger of external influences. The creation of falls narrative to justify the campaign against the inevitable (the recognition of Somaliland) is nothing new to its people and leadership. The illegality of Somaliland unification with Somalia is one that is a fact and recorded in the books of history. Time and time again this great nation has been acknowledge by its most important ally its people. The people of Somaliland has acknowledged, accepted and endorsed their democratically elected government through the ballot box in the last two decade. For Somaliland, a dawn for full Justice is on its Horizon. Somaliland has by and large wrap up an optimum 20 years of Peace, Security and Stability that born out of its people’s resoluteness, wisdom and unyielding principles towards a genuine reconciliation through a sundry of traditional/modern Peace-Making in a methodical manner in a less manipulative atmosphere that is home, accessible, and with multitude small scale talks running parallel along the major one to settle particular issue, disputes or grievances, unlike the 14 foreign driven so called Peace conferences held for Southern Somalia. The contrast is striking: the border of Somalia – if any symbol of the failed state – Somaliland held on 26 June one of the most democratic elections ever known in Africa continent of many years. This paradox is explained largely by history. Sweden: Carwaddii u horraysay ee lagu soo bandhigo noocyada macdanta Somaliland, ayaa Sabtidii todobaadkan lagu qabtay Magaalada Varnamo ee gobolka Jonkooing ee koonfurta dalka Sweden, waxaana khubaradii caalamiga ahayd ee ka soo qeyb gashay ay ka Marag kaceen in macdanta Somaliland ay tahay mid qaaliya oo badankeedu gabaabsi ku sii ah adduunka. I have the honor to address this emergency appeal to You, International Organizations, Friendly government on behalf of the Citizens of Somaliland Republic. New British embassies are to be opened in El Salvador, Turkmenistan, Madagascar, Somalia and Southern Sudan as part of a radical redrawing of Britain's international diplomatic map. The Foreign Secretary will use the first anniversary of the Coalition Government today to outline what he termed "the biggest strategic diplomatic advance by Britain in decades". He revealed details yesterday to a meeting in London of hundreds of British ambassadors and high commissioners, who were told of major changes to their network of embassies and consulates abroad. The whistleblowers’ site Wikileaks published a leaked Cable of US Embassy Addis Ababa. This is the 7th Cable of its kind. The Cable presents a 1 hour and half long meeting between Ethiopian Prime Minister Meles Zenawi and Jendayi Frazer, the then U.S. Assistant Secretary of State for African Affairs that covers a broad ranging issues concerning Kenya, Sudan, Somalia, Somaliland, and the Eritrean border. The meeting, held on Jan. 31/2008, was also attended by Donald Yamamoto, US Ambassador to Ethiopia, Ambassador Courville, Sudan S/E Williamson, AF/SPG Director Lauren Landis. CNN-- When Sada Mire fled war-torn Somalia as a frightened teenager, the nation was descending into darkness, mired in the grip of a long civil conflict. But several years later, when she returned to the Horn of Africa as an ambitious archaeologist, her fierce determination and meticulous fieldwork brought to light the region's rich cultural heritage. In 2007, her archaeological pursuits resulted in the discovery of 5,000-year-old rock art in Somaliland, a breakaway state in the northwest corner of Somalia. To read and Watch more about this document, click on this link: .. Part 1. "In the long term the best way to beat radical ideas is to make them redundant," says Ayaan Hirsi Ali, a politician and ardent critic of fundamentalist Islam. During her recent Big Think interview, she told us that this could be done by making clear to young Muslims that there are alternative narratives than those offered by radicalism. Given the death of Osama bin Laden's and the democratic revolutions sweeping the Arab world, are we witnessing exactly that shift? Somaliland Forum Election committee 2011/2012 hereby officially announces the result of the election for 5 members executive committee. The election was concluded on 28 April, 2011 and following members were elected as the Somaliland Forum Executive Committee for the year 2011-2012. Abaarso Tech is pleased to announce that one of its top students, Mubarack Mohamed Mohamoud Daahir, will spend the entire 2011-2012 school year studying at AT’s sister school, Worcester Academy. An American boarding school founded in 1834, Worcester Academy targets a global education for its students, and as such, is paying the entire $60,000 cost of Mubarack’s year of education. Altogether, this scholarship includes visa fees, airfare, full tuition, food, housing, and even spending money to allow him to properly fit in with his surroundings.